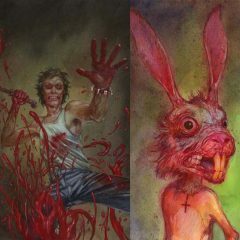 I just put up two new prints, the cover art to Cannibal Corpse’s Red Before Black, and a portrait on The Easter Bunny. Why not get one of each!? Click here to see the prints.